A soul of steel shatters, and a spinning shard joins the eternal dance. After a moment of thinking meh there is no breach this league so either vaal breach gem so you can't call it on bosses. so its double the *meh* now? Cool! You get another copy of the item every time it Rampages? You'll make millions! Trade them out! 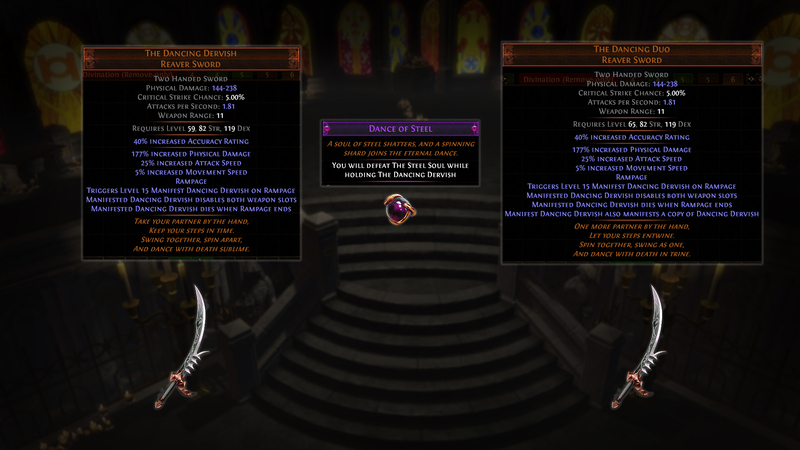 Maybe with tectonic slam and facebreaker/Doryani's Fist? Is there a way to actually get Rampage in solo boss fights?